VANCOUVER, Jan. 17, 2019 /CNW/ - GREAT PANTHER SILVER LIMITED (TSX: GPR; NYSE American: GPL) ("Great Panther"; the "Company") announces today 2019 production and unit cost guidance for its two wholly-owned Mexican silver mining operations: the Topia Mine, and the Guanajuato Mine Complex ("GMC"), which includes the San Ignacio Mine and the Guanajuato Mine. Production in 2019 is expected to be in the range of 3.7 to 4.0 million silver equivalent ounces ("Ag Eq oz"). Great Panther has undertaken a multi-mine optimization strategy under which the entire production for the GMC will be sourced from the lower cost San Ignacio Mine, enabling a focused exploration program for the Guanajuato Mine aimed at growing higher margin resources. In addition, a planned increase in the processing capacity from the Topia Mine in 2019 is expected to increase production by approximately 25% compared to 2018. "We have taken the step of realigning our Mexican operations to reduce unit costs and maximize mine operating cash-flow, with a modest reduction in our production ounces", stated James Bannantine, President and CEO. "The continuous improvement of our Mexican operations is important to our primary growth initiatives that include completing the acquisition of Beadell Resources Limited, which is expected to close shortly after respective shareholder votes during the week of February 11th, and the completion of the latest phase of our Coricancha project to enable advancement toward a production decision by the end of March." The following table provides production and unit cost guidance for 2019. Ag Eq oz have been established using an 80:1 Au:Ag ratio, and ratios of 1:0.06364 and 1:0.0818 for the price/ounce of silver to price/pound of lead and zinc, respectively. Cash cost, and AISC are non-GAAP measures and are disclosed on a per payable silver ounce basis and in US dollars. Refer to the "Non-GAAP Measures" section of the Company's MD&A for an explanation of these measures and reconciliation to the Company's reported financial results in accordance with IFRS. As these are not standardized measures, they may not be directly comparable to similarly titled measures used by others. AISC includes all 2019 planned capital expenditures for the Mexican operations, with the exception of approximately US$1 million for the capacity expansion at Topia which are classified as non-sustaining capital expenditures on the basis that these will increase the production capacity of the plant. The balance of capital expenditures for Topia are fully reflected in AISC and relate primarily to new mining equipment, reflecting an increase over the prior year,. It is cautioned that cash costs and AISC are very sensitive to Mexican peso foreign exchange rate and metal prices through the computation of by-product credits. The Company will provide updated production and unit cost guidance after the anticipated closing of the of the acquisition of Beadell Resources Limited (the "Closing"). Beadell is expected to announce its 2019 production and unit cost guidance before the Closing, which will give an updated view to the pro-forma production profile of the combined company. However, it is recommended that those looking for a reliable pro-forma unit cost measure wait until post-Closing guidance is provided. While the combination is expected to reduce the per unit G&A component of Great Panther's current AISC guidance, more analysis will be needed to provide final combined unit cost guidance for 2019. The technical information contained in this news release has been reviewed and approved by Robert F. Brown, P. Eng., acting Vice President Exploration for the Company and the Qualified Person for the Guanajuato Mine Complex, and the Topia Mine under the meaning of NI 43-101. Great Panther continues to advance towards the closing of its acquisition of Beadell Resources Limited ("Beadell"), the 100% owner of the Tucano Gold Mine in Brazil. The acquisition of Beadell will create a new growth-oriented intermediate precious metals producer focused on the Americas. 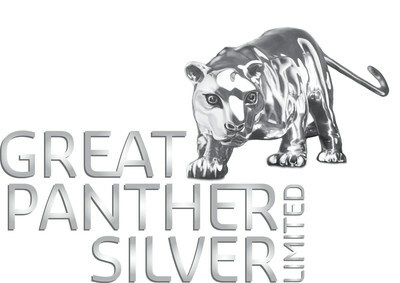 Great Panther Silver Limited is a primary silver mining and exploration company listed on the Toronto Stock Exchange trading under the symbol GPR, and on the NYSE American under the symbol GPL. Great Panther's current activities are focused on the mining of precious metals from its two wholly-owned operating mines in Mexico: the Guanajuato Mine Complex and the Topia Mine. The Company also expects to make a decision on whether or not to restart the Coricancha project in Peru by the end of March 2019. In addition, the Company anticipates closing of the acquisition of gold producer Beadell Resources Limited shortly after respective shareholder votes during the week of February 11th, 2019. This news release contains forward-looking statements within the meaning of the United States Private Securities Litigation Reform Act of 1995 and forward-looking information within the meaning of Canadian securities laws (together, "forward-looking statements"). Such forward-looking statements may include, but are not limited to, the Company's ability to meet its production guidance, expectations of cash cost and AISC, timing regarding Beadell's announcement of 2019 production and unit cost guidance, unit cost reductions as a result of the combination with Beadell, statements regarding the timing and completion of the acquisition of Beadell, and the timing or positive outcome of a production decision for the Coricancha project. These forward-looking statements involve known and unknown risks, uncertainties and other factors that may cause the actual results, performance or achievements expressed or implied by such forward-looking statements to be materially different. Assumptions upon which forward looking statements relating to the acquisition of Beadell have been made include that Beadell and Great Panther will be able to satisfy the conditions of closing, that due diligence investigations of each party will not identify any materially adverse facts or circumstances, that the required approvals will be obtained from the shareholders of Beadell and Great Panther, and that all required third party, regulatory and government approvals will be obtained. Such factors include, among others, risks and uncertainties relating to potential political and social risks involving Beadell and Great Panther's operations in a foreign jurisdiction, the potential for unexpected costs and expenses, fluctuations in metal prices, fluctuations in currency exchange rates, physical risks inherent in mining operations, operating or technical difficulties in mineral exploration, changes in project parameters as plans continue to be refined, and other risks and uncertainties, including those described in respect of Great Panther, in its annual information form for the year ended December 31, 2017 and material change reports filed with the Canadian Securities Administrators available at www.sedar.com and reports on Form 40-F and Form 6-K filed with the Securities and Exchange Commission and available at www.sec.gov.